Jediah Caul was once a Green Lantern who prided himself on his efficiently furtive undercover nature. However, unwilling association with what are now called Spectrum Warriors following DC’s vast expansion of the Green Lantern franchise, has resulted in his being outed on a galactic TV reality show. The Hunted places nano-cameras around an individual, deposits them on a planet, and after a 24 hour grace period they’re an open target for anyone wanting to collect the bounty placed on them. Professional squads compete with enthusiastic amateurs, and collateral casualties are accepted by all as part of the entertainment. The bigger picture is that the show isn’t just a method of disposing of individuals considered a danger to the Tenebrian Dominion, it’s crucial to the funding of it. 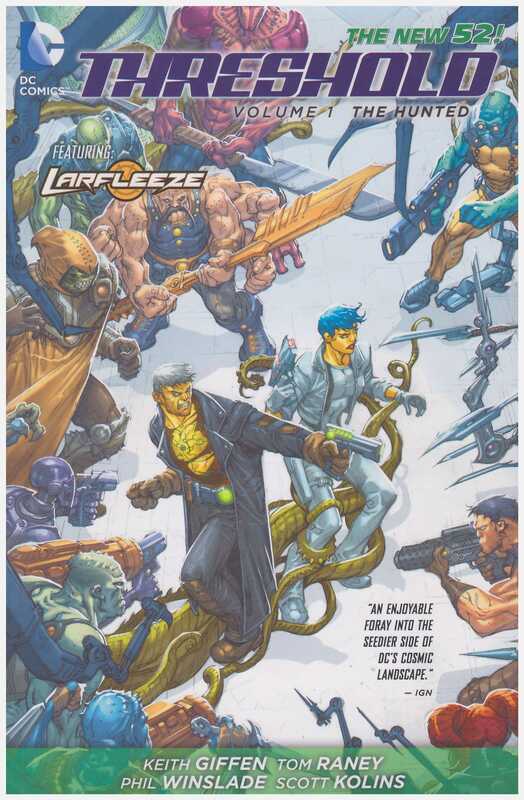 The bigger picture of the story is that it’s Keith Giffen’s attempt to reconfigure the innocent characters who populated DC’s 1950s science-fiction comics. Seeing as this had already been achieved in spectacular fashion in Twilight, it was a brave move, and he also throws in his updated version of the Blue Beetle, Jaime Reyes. Caul’s just the way into the concept. Several hunts occur simultaneously, with live transmissions alternating between them. 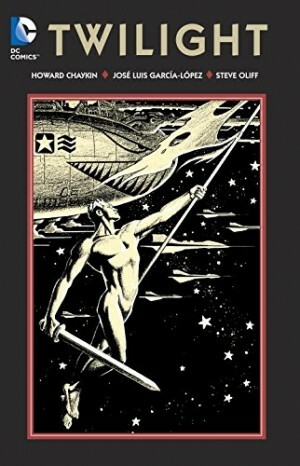 Allegiances form and shift throughout, and there’s a background pattern of instructions from Lady Styx. The absolute ruler of the Tenebrian Dominion is a constant influence on events. 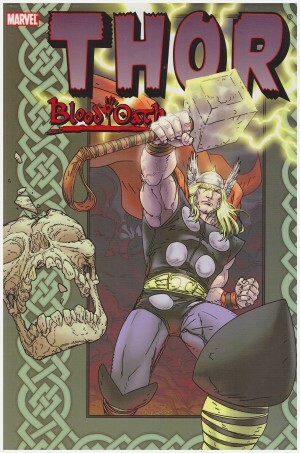 Despite an innovative premise and Tom Raney and Phil Winslade sharing the art, Threshold wasn’t a commercial success, so this volume is complete in itself. 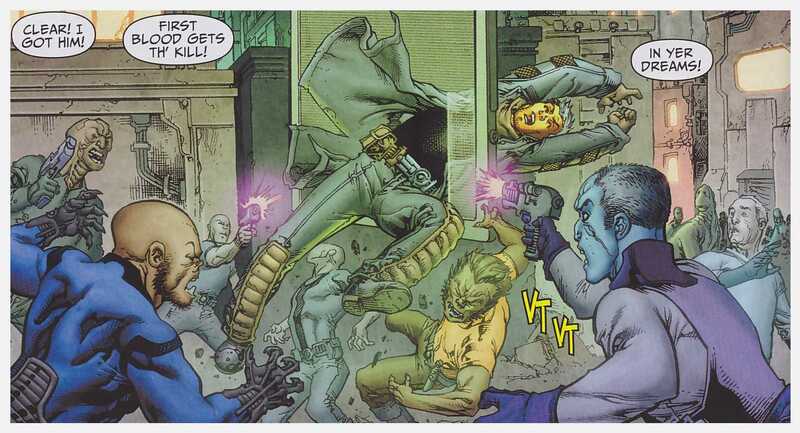 Giffen’s misdirection provides several surprising moments, not least with the conclusion and it’s coda. That coda comes at the end of a three-part Star Hawkins back-up strip, drawn by a much improved Timothy Green II and integrated into the main continuity. It’s all thoroughly entertaining, and should work even for those with little knowledge of Green Lantern continuity. That’s not all, though. 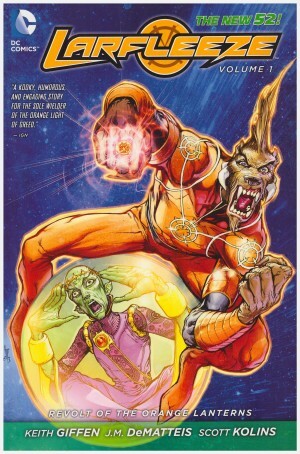 Larfleeze was one of the more popular characters introduced during Blackest Night, and although unconnected to the main storyline he was given a back-up strip in the original comic, reprinted here. Trivial, but diverting about sums it up. 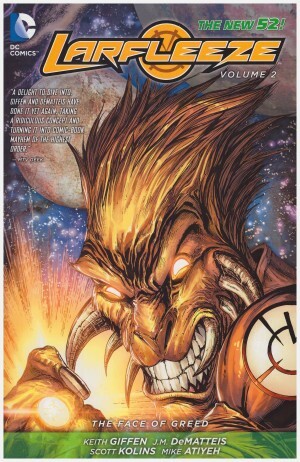 Giffen plays Larfleeze’s greed and egotistical arrogance for laughs as his treasure is stolen, and Scott Kolins delivers his usual detailed and appealing art. It polled well enough for Larfleeze to graduate to his own title.